They talk about the 'luck of the Irish', but we've set out to find the luckiest person in the UK! Over the past 12 months we have researched data from hundreds of thousands of Brits to try and find out just who is the most fortunate person in the country. After trawling through reams of information, we have come up with some very interesting facts and figures. 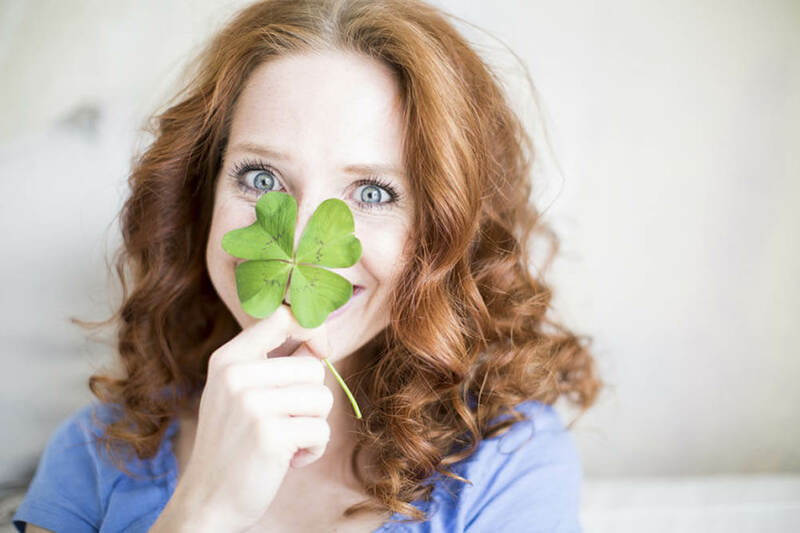 Read on to find out more about the UK's luckiest person! The Luck of the British? It may be coming up to St Patrick's Day, but we set out to prove that the Irish don't have a monopoly on good luck! So, just how did we come up with all the information that you can see on our infographic below? Well we put our Lottoland elves to work, digging out all the facts and figures that they could uncover to try and reveal the common features shared by winners (and losers). Having run all the details through our super-computer, we have managed to pinpoint the UK's most fortunate individual. If your name is Barry, aged 60 or over and living in Thornton Heath, then congratulations because you are Britain's luckiest person! When it comes to names, men named Barry, Steve and Michael tended to enjoy the rub of the green, with Claire being the most fortuitous forename for women. Maybe try to avoid naming your baby Rebecca, Edward, Ashley, Dominic or Garry though, as these were determined to be the five least fortunate names. In general, it turns out that men are slightly luckier than women on average. While there is much to be said for the joys of youth, it turns out that older folk have more good luck than those fresh-faced youngsters. Those aged between 41 and 45 have to put up with the worst luck, which could be an explanation for all of those mid-life crises! When we took a step back to look at the global picture, the results were very revealing. It turns out that Austria is the luckiest country to live in, as the land of Arnold Schwarzenegger, Johann Strauss and weiner schnitzels topped the charts just ahead of Poland and the Czech Republic. Meanwhile it's bad news for Brazil, as they don't seem to have any luck at all, and it turns out that the famous 'luck of the Irish' may be nothing more than a Celtic myth as Ireland ranks down in second last place. The UK doesn't do a whole lot better, although when we sifted through the numbers we found out that some parts of Britain have been considerably more fortunate than others. Bristol and Brighton in the sunny south of England enjoy the best luck in the country. However, not all the 'B's are so fortunate, with Birmingham and Belfast coming in at the bottom of the charts. When we narrowed the search down even further, we discovered that Thornton Heath in South London is the most fortunate part of the country. Steer clear of Clitheroe in Lancashire though, as they don't seem to get any luck unless it's the bad kind! Of course, deep down we all know that nobody is actually 'lucky' or 'unlucky' all the time. The old saying probably got it right with 'every dog has its day', which means that the next time you try a lottery bet it may just be the one that hits the jackpot. Even if your name is Becky from Belfast! Take a look at the incredible range of lotteries available at Lottoland, and test your luck today!